What does it mean to “eat healthy”? This playful and interactive 60-minute class explores how what we eat has a direct relationship to our overall health and well-being. A licensed Nutritionist will cover topics such as menu planning and selections, healthy choices on a budget, cooking demonstration and more. In this 6-class series, we will take a deeper look at your relationship with food and your body. Are you using food as fuel, medicine or more like a drug? Need that caffeine or sugar fix to get through the day? Do you know what is healthy but have hard time really eating that way long-term? In this interactive 6- class series, we will take a deeper look at your relationship with food and your body. Together we will explore what gets in the way of eating well and how to move past those struggles. Topics include: how to outsmart the will-power gap, understanding and breaking sugar addiction, and how stress affects food choices and metabolism. Each fun and interactive 1-hour class will include group discussion and skill building. Three of these 1-hour classes will include cooking demonstration and skill building. Food costs will be discussed with each facility organizer prior to beginning this class series. Food costs will depend on the topic chosen, number of participants and type of food prepared. We can work together to fit your group’s budget and interests. Need that mid-afternoon caffeine or sugar fix to get through the day? This 6-class series explores topics such as how sugar and stress effects food choices and metabolism with action steps to move through the struggles of maintaining healthy relationship with food. Real Food Basics – ways to move away from processed foods without spending your whole life in the kitchen. 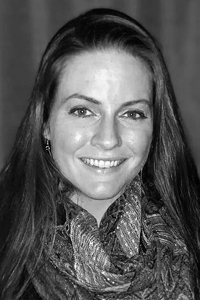 Megan Antosik, MS, RDN, LD has worked to understand the connection between food and activity from a young age. During her time as a collegiate athlete trying to juggle class, practice, and a part-time job, she was motivated to create a sustainable meal plan that kept her fueled for the long haul. Her love for food and the connection to performance have transformed into a career as a Registered Dietitian Nutritionist (RDN). She earned a Master of Science degree in clinical nutrition from Oregon Health & Science University and has since worked as a clinical dietitian. As a dietitian, athlete, and home cook, she creates recipes that focus on nutritious whole foods to nourish optimal performance and good health.